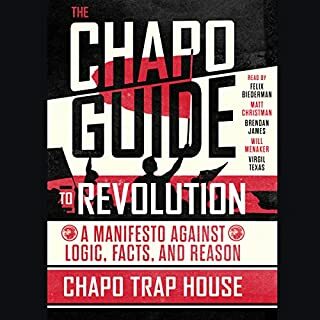 I love the podcast and overall argument of the Dirtbag Left but this book was discombobulated. The first three chapters were on point and laid out a coherent critique of neoliberalism and how capitalism is a scam for everyday people. However it lost all connection to its main idea, if there really was any, from there! The sporadic jokes made an main argument hard to follow. Perhaps the biggest problem with the book was that it didn’t provide a explanation for why relying on facts alone is a losing strategy! As the Chapo Gang said in their takedown of Pod Save America’s Dan Pfeiffer, the Left needs to tell a better story, and this manifesto had no story for an alternative to hell-world capitalism. As a child in small-town Oklahoma, Elizabeth Warren yearned to go to college and then become an elementary school teacher - an ambitious goal, given her family’s modest means. Early marriage and motherhood seemed to put even that dream out of reach, but 15 years later she was a distinguished law professor with a deep understanding of why people go bankrupt. Then came the phone call that changed her life: could she come to Washington, DC, to help advise Congress on rewriting the bankruptcy laws? Excellent work. 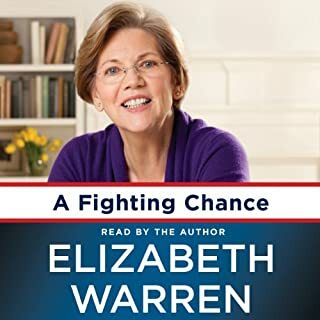 A talented writer and storyteller Warren 2020: Give Americans a Fighting Chance. I recommend it for progressives. The Great Recession that began in 2007 is now more than four years old - and counting. Some 24 million Americans are unemployed or underemployed, and at recent rates of job creation we won’t be back to normal levels of employment until late this decade. This is a tragedy. Do we have to accept it? "No!" is the resounding answer given by Nobel Prize-winning economist Paul Krugman in this call to arms. We have seen this situation before and we know how to fix it; all we lack is the political will to take action. Listen to this before you vote! 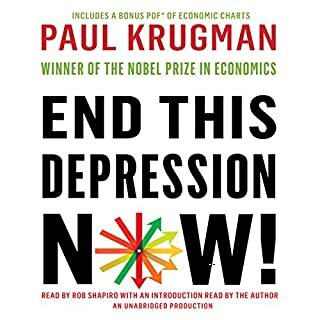 Krugman expertly, yet informally explains the progressive case for first all stimulus and the near and long term losses of austerity on the middle class and working people.